For the first time EVER, OverClocked University, who is comprised of members from the OverClocked Remix (http://ocremix.org) community will be playing live at the upcoming 2013 MAGFest event that will be held in Maryland from January 3rd – 6th. If you’re a video music lover then this is definitely for you. For more info check the official press release after the break! [youtube]http://www.youtube.com/watch?v=MBESBjPNE54[/youtube]GET SCHOOLED! Presenting, for the first time… OverClocked University! 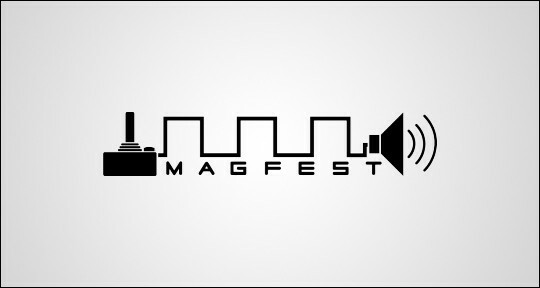 http://magfest.org/prereg – PREREG for MAGFest! 4 days & 3 nights of non-stop gaming, panels & VGM! Previously known as OCR Live, OverClocked University is a live band born out of some of the core members of the OverClocked ReMix community. For the past two years, Andrew Luers (OA), Stevo Bortz (Level 99), Deia Vengen (DragonAvenger), and Amy Hsieh (diotrans) have been honing their killer live chops by playing their anthemic rock songs at OCR panels across America. This year, at MAGFest 11, OCR Live transforms into OverClocked University for the first time, and forever more. OverClocked University will be playing a full set on second stage on Friday, January 4th, at 4:00PM. Featuring two guitars, bass, and violin, accompanied by the enigmatic ReMixinator 5000 and customized visual entertainment, OCU will be certain to be playing several of your favorites. From the glittering waters of Sunset Bay and Clam City, to evil castles and mysterious forgotten lands, to the moon and beyond even time itself, OverClocked University is going to take you on a journey the likes of which you haven’t seen since… well, the last time you played video games possibly. Battle evil, launch into the fray, get on your jet-skis and epochs and get to National Harbor for MAGFest, January 3-6 2013, and be sure not to miss this performance! Otherwise….you might just get schooled. Founded in 1999, OverClocked ReMix is an organization dedicated to the appreciation, preservation, and interpretation of video game music. Its primary focus is http://ocremix.org – a website featuring thousands of free fan arrangements, information on game music and composers, resources for aspiring artists, and a thriving community of video game music fans.